My opponent had a rating of 1270 and mine was a mere 1130... i was skeptical - not sure of winning... however i didn't want to go down without a fight! I opened up my pieces with caution. I thought and analysed hard before my moves... and my opponent was taking a lot of time to make his moves. As the clock ticked by... i thought of taking a quick break and then return to the game. As I got back... suddenly, out of nowhere I spotted a great opportunity for a double attack. Well my bishop sitting at b7 was aiming at his rook on h1 (though there was a pawn as a cover). Because my queen was at g5 so in the event of an exchange he might lose more - so to prevent that situation he moved his rook to g1. This gave me a glorious opportunity to eat his pawn with my queen at e3. now in order to come out of check - he had to lose his rook - there was simply no other way - and out of remorse he RESIGNED! 1. Let your opponent be strong - it really doesn't matter - you play your role with an unperturbed mind and focus on your work at hand. There is no control that you have on the external factors - in this case the higher rating of my opponent. I really can't do much about it. So if i start giving it too much of an importance I will lose my own confidence and my focus. Rather I should remind myself that on many occasions I have won against a higher rated player. You never know - an opportunity may arise out of nowhere! 2. Assign tasks/responsibilities to your team members that might trigger benefit somewhere else that you might never think of. Don't make them sit idle and do nothing. 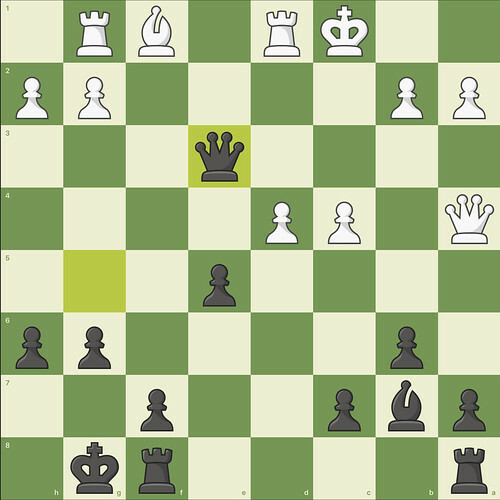 In this case my team member bishop forced my opponent to move his rook thereby enabling the double attack by my queen - my queen might take credit - but it was the bishop that had caused it. It's because my bishop was assigned to take care of the longest diagonal of the chess board, i.e,the longest (read largest) responsibility.